According to a new study published in the journal JAMA Network Open, ten percent that is 26 million (10.8%) of the Americans are experiencing allergies but twice as many people believe they do. 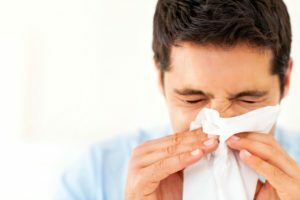 The researchers found that 19 percent of the adults think think they are allergic to certain foods, however, the analysis of their symptoms do not match the manifestations of true allergies which might bring a life-threatening case. The research was led by Ruchi Gupta, MD MPH, from Ann and Robert H. Lurie Children’s Hospital of Chicago and Northwestern University. True food allergies can prove to be life-threatening and fatal; the person has to be super attentive about his food so that nothing comes in contact with it which might trigger any reaction. The researchers carried out a survey of 40,000 adults. In recent years, children cases of allergy and food intolerance cases have increased tremendously. This has raised the concern among the parents of making their children have overly germless surroundings. The researchers were more astonished to find that there are many who are developing allergies in adulthood too. Food allergies are considered as a common as well as a minor health issue. However, around 200 people die due to anaphylaxis after harmful interaction of their body with food. It is when the body does not identify a certain food and launches an attack thinking it as a pathogen like a foreign bacterium. The attempt of the immune system to erase pathogen out of the body instead causes harm to the body. Some people encounter relatively unpleasant but harmless symptoms including coughing, rash, runny nose, and sneezing. The true allergic reactions include hives, chest tightening, lip or tongue swelling, vomiting, difficulty in swallowing, fainting, chest pain, trouble breathing, low blood pressure, wheezing and rapid heartbeat. • In the US, allergies these days are at its peak. • There are approximately 1 out of 5 adults who believe that they have allergies but in reality, half of them do not. 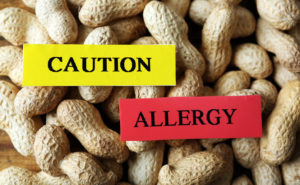 • According to the new Northwestern University and Lurie Children’s Hospital, it is only one-fourth of the population who are the carriers of epinephrine with food allergies. • Allergic Ratio of adults to children is higher that is 10% to 8%. These adults are allergic to only one food whereas the children on other hand are allergic to certain foods. • People usually tend to develop food intolerances and that is mixed up with the concept of allergies. Allergies are life-threatening, unlike food intolerances. • Around 1 out of 4 people report of developing food allergies in their adulthood. Scientists are still curious about the cause behind this. Lead author Ruchi Gupta, MD, MPH, from Lurie Children’s, who also is a Professor of Pediatrics at Northwestern University Feinberg School of Medicine said: “While we found that one in 10 adults have food allergy, nearly twice as many adults think that they are allergic to foods, while their symptoms may suggest food intolerance or other food-related conditions. If with the immune system, other systems also come to action against the allergen like food, pollen or substances like latex, the body comes into a phase of shock. This condition is called as anaphylaxis. The most severe symptoms include a drop in the blood pressure and constriction of airways. Why Some Food Allergies Trigger During Adulthood? The cases about food intolerances and allergies as for both children and adults are at its peak and still, researchers are unable to find an authentic cause. The analysis published in JAMA Network Open found that one-fourth of these allergic people developed allergies to certain foods in their adulthood. The rising allergic trend is usually observed in women due to their vulnerability of developing allergies during pregnancy. However, the recent researches show that men are also competing in this trend. “We have been hearing about it, but we’re finally able to quantify it,” says Dr. Gupta. The survey conducted out also asked the 40,000 participants to share their views about the causes behind the triggering of these food allergies during adulthood. The responses are yet still to be analyzed. The study analysis in the US showed that shellfish is currently affecting 7.2 million adults, peanut 4.5 million, egg 2 million, milk 4.7 million, soy 1.5 million, tree nut 3 million, sesame 0.5 million, wheat 2 million and fin fish 2.2 million. “Our data show that shellfish is the top food allergen in adults, that shellfish allergy commonly begins in adulthood, and that this allergy is remarkably common across the lifespan,” says Dr. Gupta. “We need more studies to clarify why shellfish allergy appears to be so common and persistent among U.S. adults.” The most common food which triggers an onset of allergy in adults is shellfish. People usually try shellfish later in their life but many fail to make it part of their diet. Birth Control Methods – All You Need to Know!